Take your first breaths underwater in the crystal clear waters of Tenerife and discover the fantastic marine world. 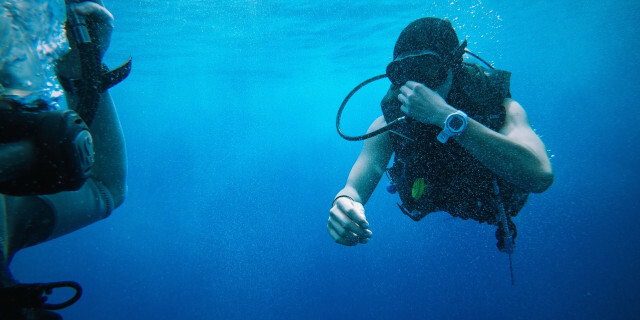 Begin your thrilling scuba diving adventures. Are you looking for more outdoor activities in La Caleta Beach?